including an extension of the collector lanes and access ramps, complete replacement of the Hurontario St interchange, and a new commuter parking lot. 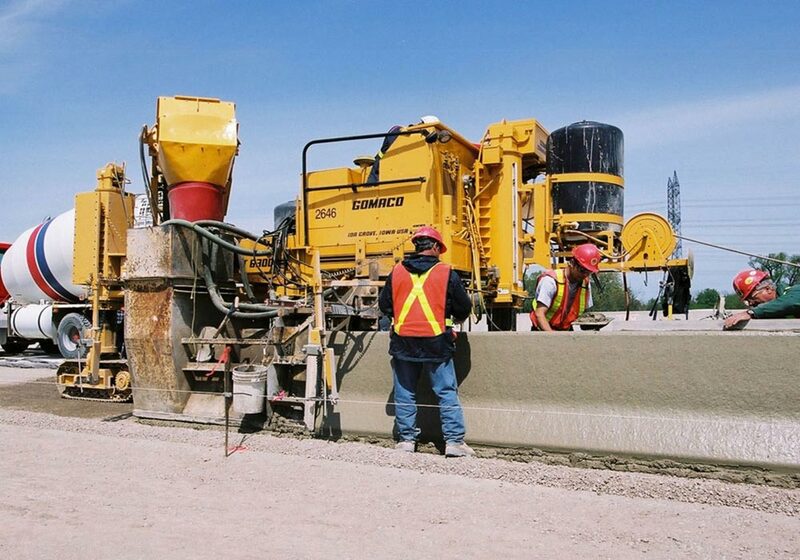 The expansion of existing Hwy 401 involves widening from 6 to 12 lanes to include new collector lanes and new road pavement construction for 1.5km. Additional project work includes 14km of new sewers; 2 stormwater management ponds, and associated traffic signals. The replacement of the Hurontario St interchange involves 4km of new access ramps, 17 new retaining walls (one at 7m in height), 1 new bridge structure with steel girders and a concrete deck, 4 new rigid frame bridge structures, and installation of an Automated Traffic Management Systems (ATMS), as well as illumination and traffic signals. The project also requires 95,000m³ of concrete, 102,000 tonnes of asphalt, and 862,000 tonnes of granular.